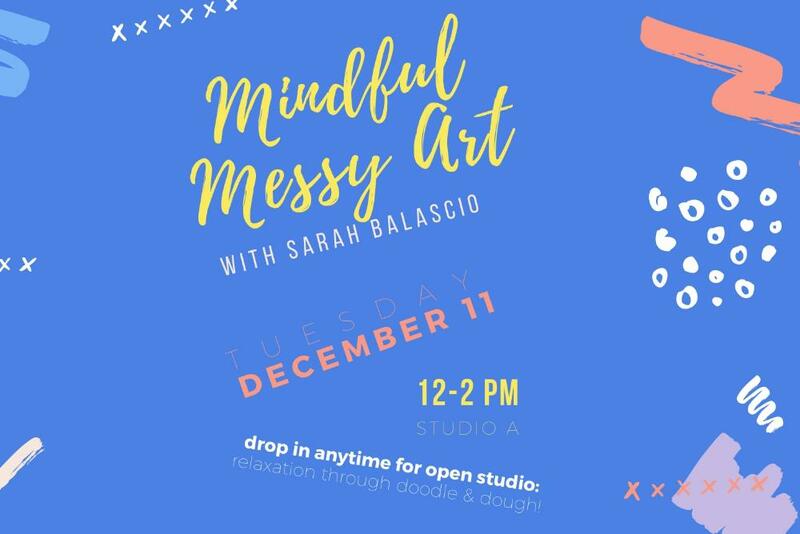 Join Art Therapist, Sarah Balascio, in our Mindful Messy Art Studio where you can explore creative outlets from doodling to dough as a stress-management tool. This open-studio class is available for drop-in from noon-2pm. Stay and play for as long (or little!) as you like. All are welcome, art experience is definitely not required to attend this class! We hope curiosity guides you to Studio A where you can give your brain a break from the books and return for a more efficient study session afterward. See you there!